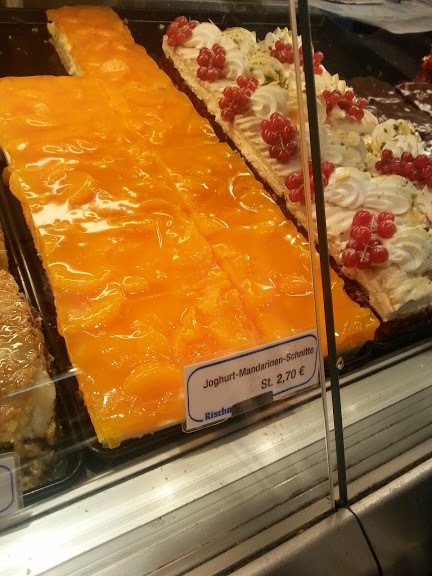 When Craig and I were recently in Germany we came across a cake/torte who knows what, that was AMAZING. Craig is not a desert person but we just kept going out to find more of this cake. 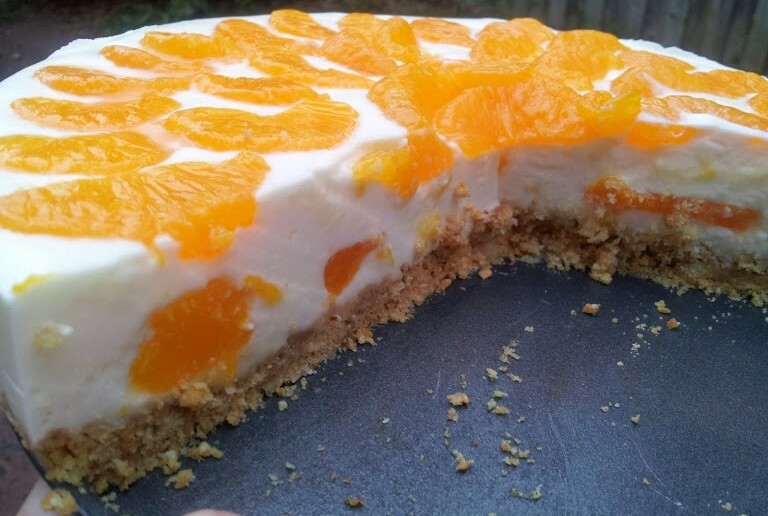 It had a mostly biscuit, sometimes pastry, sometimes a bit of sponge base, a thick and creamy yoghurt filling and a layer of mandarin oranges with mandarin flavoured jelly. That’s pretty much the best way to describe it! We were determined to try and make it when we got home. Now that we are home I tried to find a recipe which turned out to be a lot more difficult than I expected! I googled the name of it which returned nothing, I googled mandarin yoghurt cake/torte/cheesecake/slice etc…. in 17 different languages etc… The only thing I found was something that looked remotely similar and it was written in German. All I can say is google translate saved our valentines day! I hope I translated everything correctly, but even if I didn’t this desert turned out really well! It’s not very sweet which Craig and I liked, and the mandarins are sweet enough anyway. Its pretty much the ultimate summer desert in my mind. I can’t wait to make it again for family dinner/work bake sale, anything really! Plus I found out that the yoghurt I used is REALLY cheap at Costco. So friends and family you can expect this for a while I think! 2. Crush the biscuits (in a zip lock bag or use a food processor) and combine with the melted butter. Press it in to the base of the spring-form pan and refrigerate it while you are making the yoghurt mixture. 3. Whip the cream and drain the mandarins. Prepare the gelatin according to the package instructions. I soaked the sheets for about 5 minutes in cold water and then squeezed the excess water out of them before placing in a small saucepan. 4. With a hand mixer combine the yoghurt and sugar in a large bowl ensuring the sugar dissolves into the yoghurt. 5. Heat the gelatin on low in a small saucepan until completely dissolved. Add about a tablespoon of the yoghurt mixture to the dissolved gelatin and mix it through evenly. 6. Add the gelatin to the yoghurt and sugar mixture and combine with a hand mixer until smooth. 7. Whisk in the cream and place on top of the biscuit in the spring-form pan. If you want you can place about a half inch of the yoghurt mixture in the pan and then place a few of the mandarin pieces in followed by the remaining mixture. If you want your mandarins on top only then don’t worry about this. 8. 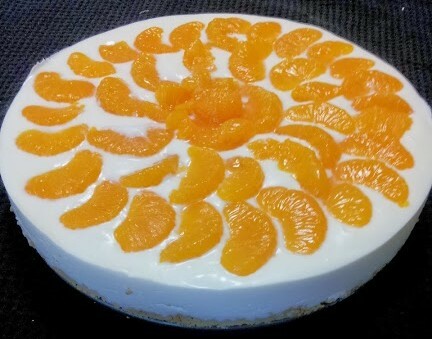 Place the drained mandarins on top of the yoghurt mixture and then refrigerate for at least four hours. Next time I make this I want to try it with the jelly mixture on top like the one we had in Munich. I just figure you would want to have the yoghurt set first and then do the jelly on top and let that set for at least 4 hours. I’ll use the juice from the mandarins in the jelly too. 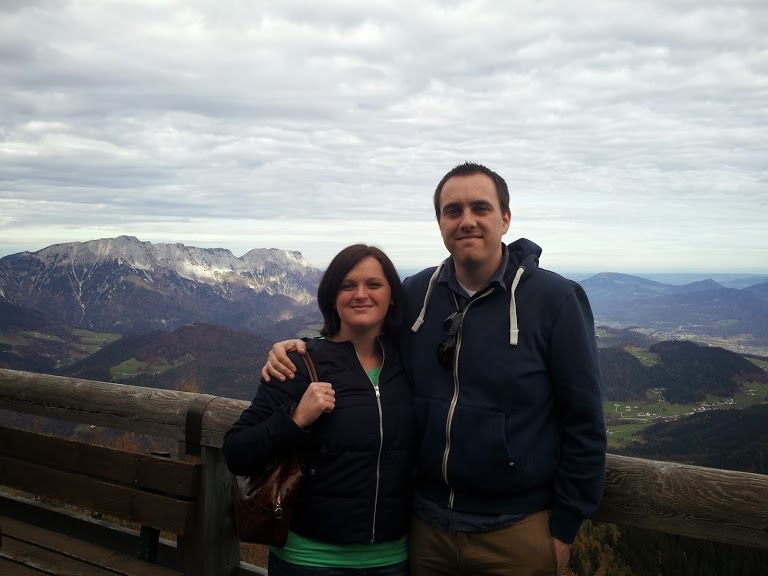 Some photos from our trip! 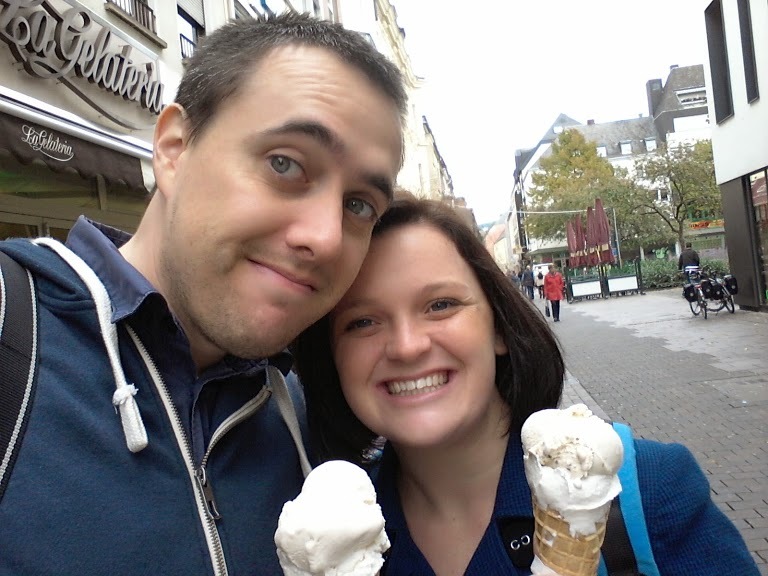 Ice creams in Koblenz. German ice cream is seriously amazing. 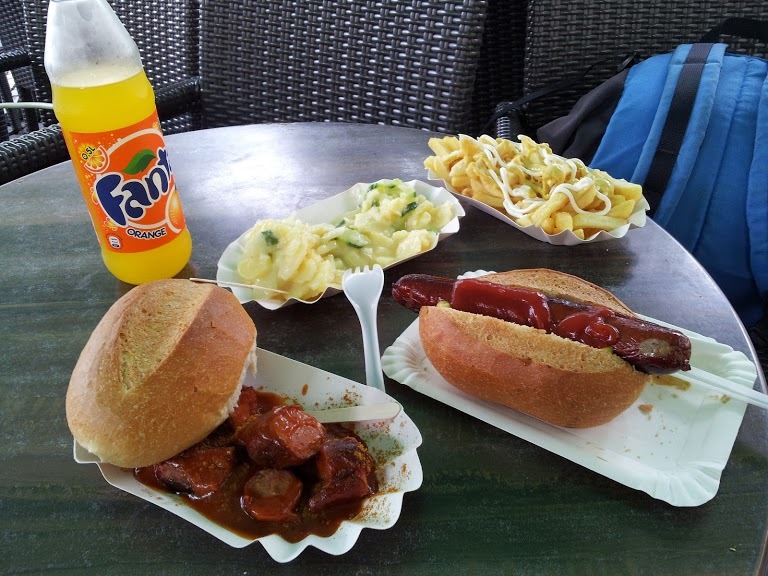 Our first taste of German take out in Frankfurt. 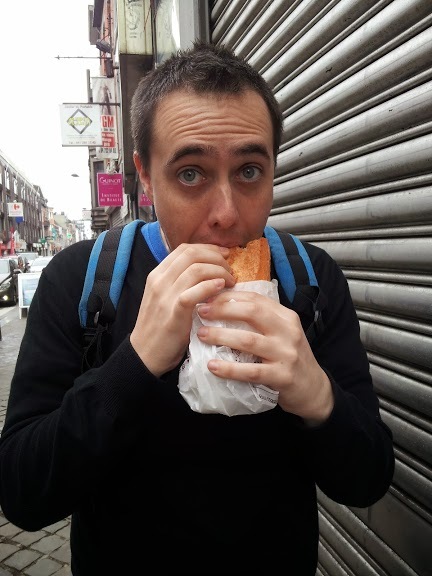 Craig’s baguette In Liege was probably one of the highlights of his trip! 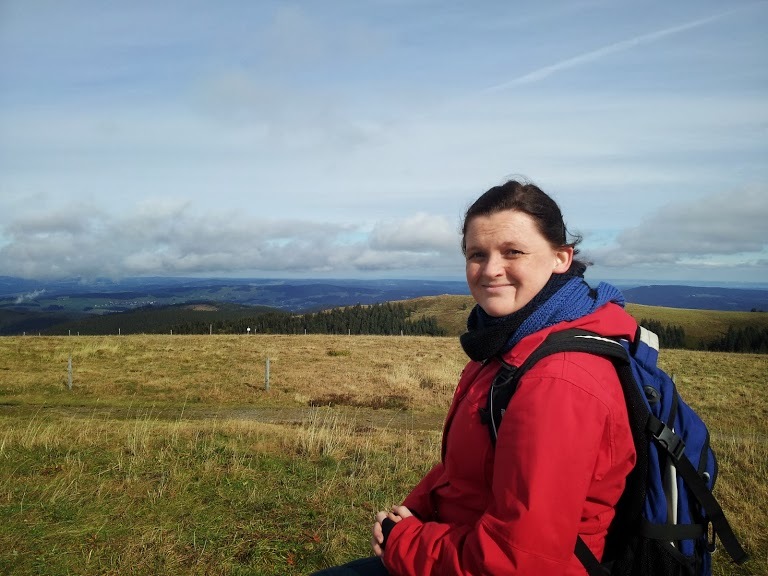 The highest peak in the Black Forrest. It was a little chilly! 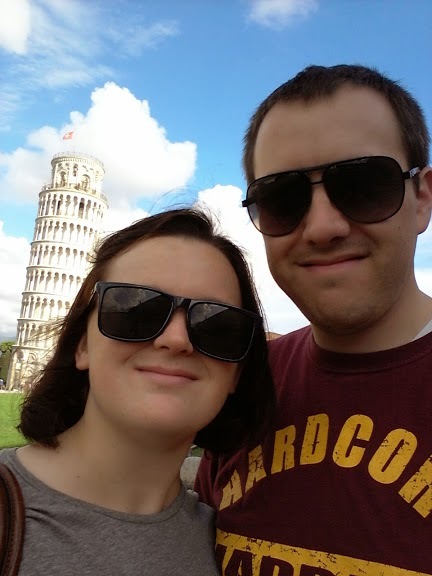 Finally the sun came out in Pisa. I was really surprised by how much it is actually leaning!